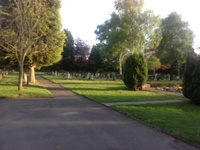 Marston Green Burial Ground is located on Bickenhill Road and is maintained by the Parish Council for the residents of the parish. The Burial Ground provides both burial and ashes plots. 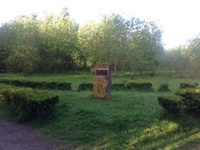 Millennium Wood, located on the junction of Bickenhill Road and Coleshill Heath Road, is classified as a Nature Reserve We worked with Solihull MBC and English Heritage to achieve this status. Although the land is owned by Solihull MBC, the Parish Council have a long term lease on this ancient site. 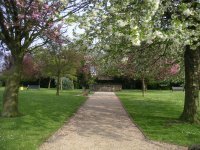 The Recreation Ground, located on Bickenhill Road, is a public park and, together with the Pavilion, is used by many of our residents. It is the home to Marston Green Cricket Club and used by many local football teams. The Birmingham Maple Leafs Baseball team also play here throughout the summer. 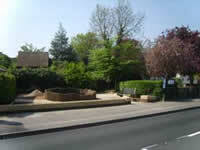 Originally a gravel pit, the Garden of Memory – located between Station Road and Elmdon Road – is maintained by the Parish Council. The Memorial Clock was purchased by the residents of Marston Green as a tribute to former Parish Council Chairman, George Aston. The monument walls carry the names of residents who lost their lives in the two world wars. The Chapel Garden, located on Station Road, is on the site of the old chapel. The garden was refurbished by the Parish Council and an opening ceremony was held in 2011. For further information and photographs see our history page. 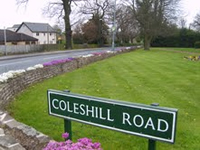 The Pleck, located at the junction of Coleshill Road and Bickenhill Road, is a small garden area with a bench and is maintained by the Parish Council. The word Pleck means a triangular piece of land but unfortunately not much more is known about the history of this garden. The Parish Council have two allotment sites, one on Elmdon Lane and the other is on the Amenity Land off Elmdon Lane. 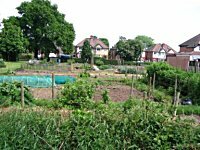 The Parish Council have two allotment sites, one on Elmdon Lane and the other is on the Amenity Land off Elmdon Lane. Planters on Station Road. Following the Solihull MBC’s decision to remove the planters from outside the shops as part of a cost cutting exercise, the Parish Council requested their return and now plant and maintain them, to enhance the village of Marston Green. In the village of Bickenhill, the Parish Council maintains the Vicar’s Field and the play equipment therein. 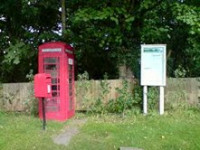 To retain the character of the village the Parish Council also purchased the Red Telephone Kiosk from BT. To learn a little more about the history of our parish, click here.